With the United States government's recent passing of the new healthcare reform bill, healthcare providers are facing more stringent regulatory environments. Accountability, compliance and even customer service are becoming increasingly important to the success of healthcare organizations throughout the US and the world. Majuda has created the Majuda Voice Suite with all of these concerns in mind. Whether you are a health insurance provider, doctors office or hospital, we understand the importance of securing important patient data, becoming compliant with regard to HIPAA and similar industry regulations and of course the need to increase efficiency and effectiveness of employees. Through the use of customizable agent scorecards, an array of reporting features and automatic delivery of "Calls for Review" to any specified supervisor, Majuda QualityTracker alongwith Majuda CallTracker allows users the ability to evaluate and improve agent performance and efficiency. These features providecritical insight into the behavior and effectiveness of your agents while giving users the information needed to make key decisions regarding customer service operations. 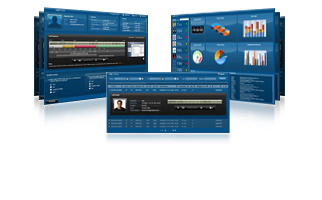 Majuda's functionality allows you to securely record all your telephonic and agent desktop screen data at all times. With its ability to record an unlimited number of concurrent conversations originating from any voice platform, Majuda is truly the best solution for your full-time liability recording and quality management requirements.